Grand final of the Mosaic Enterprise Challenge. 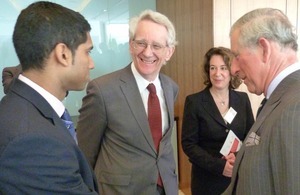 Communities Minister Andrew Stunell was honoured to be present, alongside HRH The Prince of Wales and HRH Princess Badiya of Jordan, to announce the winners of the Mosaic Enterprise Challenge grand final which celebrates small business ideas from young people from ethnic minorities. Mr Stunell met the winners from Southfields Community College, as well as the other 4 teams, and witnessed first-hand the exciting and innovative small business ideas the Enterprise Challenge promotes in disadvantaged communities. 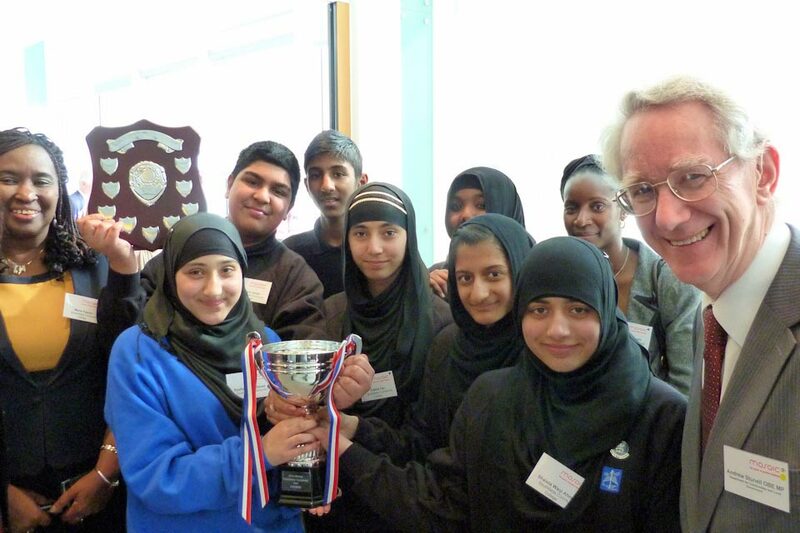 Andrew Stunell with the winning team from Southfields Community College. The Department for Communities and Local Government jointly funds the project, alongside private equity firm Apax, which exemplifies the kind of work the department is proud to support under the government’s new ‘creating the conditions’ approach to integration. The school teams are supported by specialist business mentors to compete in an online business game which places students into realistic business scenarios and helps them develop and market their own products and business ideas. I’m delighted that funding from my department is helping to inspire knowledge and enthusiasm about business amongst young people. The positive impact on the students and their communities in helping to drive social mobility is something the government is proud to be associated with. The initiative brings together a range of people and organisations from across all sectors in an exciting way to help give young people the ability and aspiration to prosper and break down barriers to social mobility. Taking part in the Enterprise Challenge encourages individuals and businesses to take a more active role in our communities and to engage in positive social action. I’d like to congratulate Southfields College and all the other teams on their success in this year’s Enterprise Challenge grand final. Their efforts impressed all those in attendance and I hope will give them the inspiration and confidence to continue with innovative business ideas in their communities in the very near future.